Jun Markl, MDR Symphony Orchestra. MDR Klassik MDR 1204. Program music (music that tells a story, represents a scene, or illustrates a point) has been around for a long time. Vivaldi (The Four Seasons), Beethoven (Pastoral Symphony, Wellington’s Victory), and Berlioz (Symphonie fantastique) all practiced and extended the range of such descriptive music. But critics generally agree it was Hungarian composer, pianist, conductor, and teacher Franz Liszt (1811-1886) who first applied the term “symphonic poem” to the genre of short narrative compositions he wrote and who certainly popularized the tone poem as we know it today. Maestro Jun Markl and the MDR Symphony Orchestra (Central German Radio Symphony, of which he was Principal Conductor from 2007-2012) here present Volume 4 of what I assume is their survey of Liszt’s complete symphonic poems. Oddly, however, I could not find anything about the first three volumes. Who knows: Maybe Markl is planning ahead by starting with Volume 4. Anyway, the album contains four of Liszt’s symphonic poems, beginning with Prometheus, written in 1850 and revised in 1855. Liszt said he wasn't trying to retell the Prometheus legend but, rather, to create a series of moods related to the myth. Thus, we get music of a serious, contemplative, often bleak nature, with a dark, cloudy introduction and a series of melodramatic climaxes. That's just the way Markl presents it, although he may tame the dramatics just a bit, preferring a smoother, more sophisticated treatment of the story than some other conductors have given us. He never rushes the music but creates atmosphere at a relaxed but invigorating pace. And so it goes throughout the program's other three tone poems. Under Markl, Les Preludes has a more studied feeling to it than an overtly exciting one as, say, Georg Solti offered in his London Philharmonic account (Decca). Les Preludes, premiered in 1854, may be familiar to different people for different reasons, by the way. The Nazis used it during the Second World War for propaganda purposes, forever clouding its appreciation for many listeners. For me, though, it will always represent the theme music for the old Buster Crabbe Flash Gordon serials of the Thirties. Thus, freed of any devious war connotations, the music has simply sounded thrilling and triumphant, a forerunner of John Williams's Star Wars and Indiana Jones material. Again, I like the way Markl allows the score to unfold at an unhurried pace, even if I miss some of the sense of urgency conveyed by the aforementioned Solti performance, as well as by Bernard Haitink, who may have provided the best of all worlds in his Philips recording, also with the LPO. Next up is Hamlet, which Liszt wrote in 1858 and, of course, based on Shakespeare’s play. Liszt gave the character of Hamlet two distinct themes to represent the young man's indecisive nature: one theme slow and brooding, the other vigorous and volatile. Markl seems most successful here in clearly differentiating the two sides of the man. Liszt gives over the middle part of the poem to Ophelia, and, appropriately, Markl handles it as gently as possible. Despite the conductor making the music appear more drawn-out than usual, he turns in what is probably the best, most-characterful symphonic poem on the disc. The final work on the program is for me the least interesting musically, though in some ways it’s the most ambitious. Liszt wrote Die Ideale in 1857 as a tribute to the German poet and philosopher Friedrich von Schiller, naming the piece after a Schiller poem of the same title. The composer divides the music into several parts, representing the general ideals of the poem: aspiration, struggle, achievement, fulfillment, and triumph. The music has always seemed a little long-winded to me, and Markl does it no favors with his kid-gloves treatment. While he clarifies every nuance of the music in some detail, he seems more preoccupied with precision and execution than in feeling, emotion, except in momentary spurts. Be that as it may, if you like this particular Liszt tone poem, you could do worse. At least Markl doesn't try to glorify the music or make it seem more grandiose than it is. If anything, his intellectualizing of it makes it all the more appealing, even to a doubter like me. MDR Klassik made the recording in the main auditorium of the Leipzig MDR Studio on Augustus Platz in February 2011. The sound is very big, moderately close, and quite wide. Yet it also displays decent depth, air, and ambience, so it isn't particularly unnatural in its presentation. Good midrange clarity, reasonable frequency extensions, and a modest dynamic range also help in making the music come alive. No complaints here; it's actually some of the better sound you'll find in this music. 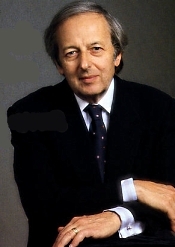 Andre Previn, London Symphony Orchestra. EMI 50999 9 67689 2 1 (2-disc set). Anyway, when Angel Records (EMI’s subsidiary classical label in America at the time) first released this 1974 recording on LP, it was both a blessing and a chore. The blessing: When Previn recorded it, it went immediately to the top of my recommendations for the work (on vinyl). Subsequently, I noticed its appearance on other lists as a top contender, including High Fidelity magazine's "Record Riches of a Quarter-Century," Gramophone magazine's "Recommended Recordings," the Penguin Guide’s recommended listings, etc. The “chore” I’ll come to. Tchaikovsky’s music is a nonstop flow of inspired melodies, both graceful and dramatic. Previn’s performance is at once exciting, subtle, enchanting, and lovely. Unlike many other, higher powered productions, Previn's reading brings a true fairy-tale richness and delicacy to the score. But that chore: The sound on the American-issued LP seemed a little dull and constricted, and the recording took many years finally to show up on CD. When it did appear on silver disc, the company packaged it in a hard cardboard long-box, with a plastic tray insert that held two separate jewel cases and a lavishly illustrated, twelve-inch story booklet, obviously meant for children. The box itself, clearly intended as a gift set, would not even fit on an ordinary CD shelf. 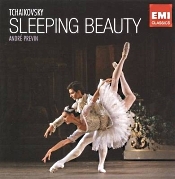 Happily, EMI rectified the former sins of their Angel subsidiary and the initial goofy CD packaging by issuing the complete Previn Sleeping Beauty in 2004 in a two-disc, slimline jewel box with proper notes and a budget price. And the EMI sound, like almost all of producer Christopher Bishop and engineer Christopher Parker's collaborations, is first-rate. In 2009 they re-released it in the pictured box at an even better price. The combination is unbeatable. What’s more, although the new packaging indicates that the mastering is the same one they had done a decade earlier (“Digital remastering 1993 by EMI Records Ltd.”), it sounds to me somewhat different. The newer version seems very slightly brighter, cleaner, clearer, and more open by comparison to the older mastering. I can only account for this in one of two ways: Either (1) EMI touched up the new mastering without telling anybody; or (2) I was hearing the differences among my three CD players (two Sony’s and a Yamaha), even though I kept changing out the discs every few minutes. Whatever, the set is still the best recommendation I can make for this piece, and EMI offer it at a price that’s still unbeatable. Benjamin Bagby, Sequentia. Deutsche Harmonia Mundi 88765468642. Everything seems to go in cycles, and what’s popular one day may not be as popular the next. 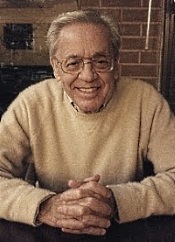 For instance, after Mahler died, his music generally fell out of favor with the public until the Fifties and Sixties when the stereo/hi-fi era began and conductors like Leopold Stokowski, Dimitri Mitropoulos, John Barbirolli, Bruno Walter, Otto Klemperer, Leonard Bernstein, and Georg Solti revived audience interest. In the Seventies we had a renaissance in Chant; in the Eighties and Nineties we got a renewed interest in period instruments; and so on. Today, we seem to be in an age of the Singing Nun, with various groups like the Benedictines of Mary producing chart-busting albums. It appears to be an appropriate time, then, for the early music ensemble Sequentia to release the final album, Celestial Hierarchy, in their series of discs containing the complete works of the medieval abbess, writer, philosopher, poet, and composer Hildegard von Bingen. 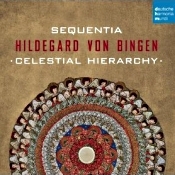 Sequentia made this ninth and concluding entry in their survey of Hildegard’s work exactly thirty years after their first album in the run, which they made back in 1982, all of them for Deutsche Harmonia Mundi. That’s both dedication and staying power. And releasing this final disc at a point where the meditative music composed or sung by women is so much in the public eye shouldn’t hurt sales. Hildegard von Bingen (1098-1179), also known as Saint Hildegard of Bingen and Sibyl of the Rhine, was something of a jack-of-all trades. As I mentioned above, she was a German writer, composer, philosopher, Christian mystic, Benedictine abbess, visionary, and intellectual. Her fellow nuns elected her a magistrate in 1136; she founded the monasteries of Rupertsberg and Eibingen in 1150 and 1165 respectively; and scholars consider one of her works, the Ordo Virtutum, an early example of liturgical drama and perhaps the oldest surviving morality play. Beyond her many volumes of visionary theology, she wrote a variety of musical compositions for use in liturgical services, which is what Sequentia have now addressed in their nine albums documenting Hildegard’s work. 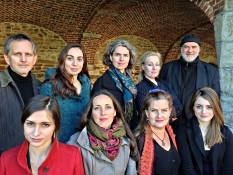 Sequentia as currently constituted comprise seven female singers: Lydia Brotherton, Agnethe Chritensen, Esther Labourdette, Sabine Lutzenberger, Christine Mothes, Elodie Mourot, and Lena Susanne Norin; plus two instrumentalists on select numbers: Norbert Rodenkirchen, flutes, and the group’s cofounder Benjamin Bagby, harp. Mr. Bagby and the late Barbara Thornton founded the group in 1977, and even though with the exception of Bagby the performers have changed over the years, they perform together as if they had been doing it all their lives; that is, heavenly. The music on Celestial Hierarchy represents the hymns Hildegard devoted to the angels, patriarchs, prophets, martyrs, and confessors, as well as John the Evangelist and Mary the Mother of Jesus. That was the "celestial hierarchy" she celebrated. Praising God in word and song was an important part of Hildegard's worship, a practice she believed allowed her to reconnect with her origins and achieve a state of self-realization. The present album contains ten numbers (a little over seventy minutes) representing the devotions of her theology, a collection of antiphons (psalms, hymns, or prayers sung in alternate parts) and responsories (anthems sung after a portion of sacred writing by a soloist and choir alternately). The songs float radiantly above us, sweet and ethereal, and Sequentia perform them with exquisite care and precision. However, I wish I could be as enthusiastic about Hildegard of Bingen’s music as I am about Sequentia’s performance of it. Hildegard's venerations of the Saints can begin sounding a bit the same after the first few items, and over an hour of them can become tiring to a novice like me. What's more, Sequentia use instrumental accompaniment, flute and harp, quite sparingly and only on three of the ten selections. I would advise a word of caution, therefore, upon entering these waters: If you are already a fan of Hildegard's work, you will find no better a collection of her music than the present disc; but if you are new to the genre, you may find yourself wondering if it isn't too much of a good thing. Nevertheless, since when is too much of something good ever a bad thing? I'd further advise the first-time listener to begin with track six, "O Victoriosissimi Triumphatores," with its lovely harp accompaniment. Producer and engineer Nicolas Bartholomee recorded the album at the Church of Saint Remigius, Franc-Waret, Belgium in November, 2012. The acoustic is open and airy, very much like the large church-cathedral it is, with plenty of ambient air in the resonant venue. Voices are miked at a moderate distance for ultimate realism, and while they can sound perhaps a touch bright and ringing at times in this setting, they are reasonably rich and clear. Also, Ravel: Piano Concerto in G. Nicole Henriot-Schweitzer, piano; Charles Munch, Boston Symphony Orchestra. HDTT HDCD298. It’s always a pleasure to listen to a disc remastered by HDTT (High Definition Tape Transfers): You can depend upon a classic performance not generally available on CD and a splendid remastering job. If you recall, the folks at HDTT remaster older recordings from tapes and LPs in the public domain, make them sound better than they’ve ever sounded before, and offer them to the public burned to various formats (FLAC, DXD, DSD, HQCD, HDCD, etc.). You can hardly ask for more. In the present instance, HDTT have remastered an old favorite of mine, The Symphony on a French Mountain Air (Symphonie sur un chant montagnard français), Op. 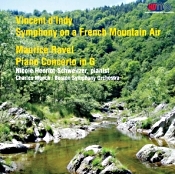 25, by Vincent d’Indy in an RCA recording by pianist Nicole Henriot-Schweitzer, conductor Charles Munch, and the Boston Symphony Orchestra. Munch’s performance is maybe the first time I ever heard this music, and it’s still the performance I most cherish, so to say I welcome this new edition is an understatement. Along with it, the same forces perform Ravel’s Piano Concerto in G major. Composers have long shown interest in mountains, especially the Romantics with their obsessive regard for Nature and some modernists with their concerns for the mystical. Thus, we’ve gotten Liszt’s Mountain Symphony, Grieg’s Hall of the Mountain King, Mussorgsky’s Night on the Bare Mountain, Strauss’s Alpine Symphony, Raff’s In the Alps, Hill’s The Sacred Mountain, Hovhaness’s Mysterious Mountain, and so on. French composer Vincent d’Indy (1851-1931) wrote his Symphony on a French Mountain Air in 1886, using a folk melody he heard in the Cévennes mountains as a primary theme (thus, the work's alternative title, Symphonie cévenole). He initially planned the work as a fantasia for piano and orchestra, although the piano part never dominates, and some critics have even labeled it a sinfonia concertante, a mixture of symphony and concerto. Like most concertos, it’s fairly brief at under half an hour and contains three movements. D’Indy didn’t write a lot of material that people listen to anymore beyond the Symphonie cévenole, and the fact is, with no disrespect, he may have lucked into the principal tune. Be that as it may, the Boston players seem fully attune to all the charmingly bucolic nuances of the Symphony, and Ms. Henriot-Schweitzer contributes a most-sympathetic piano part. There is a gentleness about the performance that is both poignant and striking, yet when the score requires its few big, showy moments, as in the animated final movement, Munch and his crew are well up to the task. With playing this sharp and instrumentalists this much on their toes, it's no wonder the performance continues to lead the field. The disc’s companion piece is the jazz-inflected Piano Concerto in G major (1931) by French composer Maurice Ravel (1875-1937). Here, the situation is a bit different from the d’Indy; while there is little competition from rival d’Indy recordings (Dutoit and Plasson aside), there is formidable competition in the Ravel field. In particular, it’s hard to find anything that matches the brilliant performance by Arturo Benedetti Michelangeli, Ettore Gracis, and the Philharmonia Orchestra on EMI. Nevertheless, Ms. Henriot-Schweitzer's performance of the Concerto is energetically fluid while remaining free of any overtly idiosyncratic mannerisms. She and Munch seem of a single mind and purpose in communicating the work's bluesy-jazzy contrasts and its lyrical Adagio in an entirely unforced manner. The whole work comes across in a more-unified style than one sometimes hears it. So, while it's perhaps not as characterful or purely magical as Michelangeli's interpretation, it's quite good, especially that dreamy slow movement. RCA’s celebrated recording team of producer Richard Mohr and engineer Lewis Layton recorded the music at Boston’s Symphony Hall in 1958, and HDTT remastered it from an RCA LP (LSC 2271) in 2013. To say they did a good job would be putting it mildly. With the judicious application of a little noise reduction, these Fifties recordings sound almost dead quiet even in softer passages. More important, the sonics are clear and clean, demonstrating the kind of transparency that most of us admire in the old RCA "Living Stereo" series. What's more, the clarity does not come with any undue brightness, forwardness, or edginess. The sound is generally smooth and natural, with fine stereo spread, separation, depth, and air. When the piano enters, the miking places it in a well-integrated position just in front of the orchestra but not way out in front or stretching from speaker to speaker. The aural presentation sounds as well focused, dynamic, and realistic as one could want. For further information on the various formats, configurations, blank HQCD discs, and prices of HDTT products, you can visit their Web site at http://www.highdeftapetransfers.com/storefront.php. The Music Institute of Chicago opens its 2013–14 Faculty and Guest Artist Series at Nichols Concert Hall, 1490 Chicago Avenue in Evanston, IL, with a concert September 21 showcasing more than 30 members of its highly esteemed faculty. The program includes several Chopin Nocturnes, Rachmaninoff’s Suite No. 1 for Two Pianos “La nuit... L'amour...” (The night...the love...), and Schoenberg’s stunning work for strings Verklärte Nacht (Transfigured Night). Other highlights of the 2013–14 season include a Benny Goodman Festival November 1 and 2; internationally renowned cellist Peter Seidenberg November 16; a triple bill of Quintet Attacca, Axiom Brass, and Music Institute President and CEO Mark George on piano March 1; pianist Inna Faliks May 3; and organist Nathan Laube May 17. The Music Institute of Chicago believes that music has the power to sustain and nourish the human spirit; therefore, our mission is to provide the foundation for lifelong engagement with music. Founded in 1931, the Music Institute has grown to become one of the three largest and most respected community music schools in the nation. Offering musical excellence built on the strength of its distinguished faculty, commitment to quality, and breadth of programs and services, the Music Institute is a member of the National Guild of Community Schools of the Arts and accredited by the National Association of Schools of Music. Each year, the Music Institute’s teachers and arts therapists reach thousands of students and clients of all ages and levels of experience. 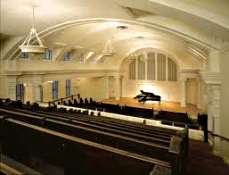 The Music Institute opens a new location this fall at Fourth Presbyterian Church’s Gratz Center in downtown Chicago. Other Music Institute locations include Evanston, Winnetka, Lincolnshire, Lake Forest, and Downers Grove. In addition, the Music Institute is proud of its longstanding partnership with the Chicago Public Schools through its Arts Link program. The Music Institute offers lessons, classes, and programs in four distinct areas: the Community School, Academy, Institute for Therapy through the Arts, and Nichols Concert Hall. The Music Institute Faculty Concert take place Saturday, September 21 at 7:30 p.m. at Nichols Concert Hall, 1490 Chicago Avenue in Evanston. Tickets are $30 for adults, $20 for seniors, and $10 for students, available online at http://www.musicinst.org/nichols-concert-hall or at 847.905.1500 ext. 108. All programming is subject to change. Bang on a Can’s 2013-2014 season takes the “relentlessly inventive” (New York Magazine) new music collective’s house bands – the Bang on a Can All-Stars and Asphalt Orchestra – on multiple tours throughout the world, for performances as far-flung geographically as Lawrence, Kansas; New York, NY; Krakow, Poland; Paris, France; Istanbul, Turkey; Amsterdam, The Netherlands; Essen, Germany; Buenos Aires, Argentina; Moscow, Russia; Macau, China; Seoul, South Korea; Washington, DC; North Adams, MA; and many other places around the globe. Highlights for 2013-2014 include groundbreaking initiatives focused on cultural diplomacy – in September, Bang on a Can’s Found Sound Nation partners with the U. S. Department of State for OneBeat, an international cultural exchange that celebrates the transformative power of the arts, and in February Bang on a Can partners with the U.S. Embassy in Moscow for a Bang on a Can Institute at the National Centre for the Contemporary Arts in Moscow, a five-day residency-intensive. In addition, the Bang on a Can All-Stars perform for the first time in South Korea at the Tongyeong International Music Festival and the LG Art Center in Seoul, give their South American debut at San Martin Theatre in Buenos Aires, and return for the third time to Krakow’s Sacrum Profanum Festival. In November, the All-Stars’ five-city European tour features guest performer and Sonic Youth stalwart Lee Ranaldo as part of a program including works by fellow guitarists Thurston Moore (Sonic Youth), Bryce Dessner (The National), David Longstreth (Dirty Projectors), and Fred Frith. In New York, Bang on a Can’s season includes the All-Stars in a Carnegie Hall Family Concert complementing David Lang’s season-long curation as the 2013-2014 Richard and Barbara Debs Composer’s Chair at Carnegie Hall, Bang on a Can’s annual People’s Commissioning Fund (PCF) Concert at Merkin Hall, the Bang on a Can Marathon at Brookfield Place (formerly World Financial Center) Winter Garden, and the New York premiere of Julia Wolfe’s Anthracite Fields featuring the All-Stars with Trinity Choir as part of the 2013 NY Phil Biennial at Lincoln Center, following the world premiere of the work with the Mendelssohn Club of Philadelphia at the University of Pennsylvania. This season will also see the release of the world premiere recording of Julia Wolfe’s Steel Hammer on Cantaloupe Music. In addition, Bang on a Can’s iconoclastic marching band Asphalt Orchestra tours the U.S. with performances across the country. In celebration of their first 25 years of presenting the finest in early music performances in Northern California, across the United States, and around the world, and to commemorate ABS artistic and music director Jeffrey Thomas’s 25 years of inspired leadership, the American Bach Soloists have created the Jeffrey Thomas Award to honor and encourage emerging early music professionals of remarkable merit. The inaugural recipient of the Jeffrey Thomas Award is Guy Cutting, an English tenor who earned tremendous experience touring worldwide as a chorister with New College Oxford under Edward Higginbottom, before emerging recently as a distinguished solo artist. Earning plaudits for his appearances in J. S. Bach’s St. John Passion, Britten’s Serenade for Tenor, Horn and Strings, and Purcell’s Ode for St. Cecilia’s Day, Mr. Cutting is certainly a new, exciting talent to watch. The young tenor will make his American Bach Soloists debut on January 24, 2014 as a soloist in Bach’s Magnificat and Cantatas 214 & 130. The Jeffrey Thomas Award is ABS’s newest initiative within a robust and lengthy history of encouraging the next generation of early music professionals. In 1998, ABS established their International Young Artists Competition to foster emerging musicians who wished to pursue a career in early music. 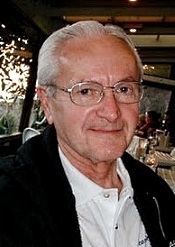 In 2006, the competition was named the American Bach Soloists & Henry I. Goldberg International Young Artists Competition, in memory of Dr. Henry I. Goldberg, Board President for the ensemble from 2002 until September 2005. Additionally, the First Prize was named in honor of the inestimable legacy of Laurette Goldberg, a leading force in the Bay Area's early music community for many years. To ensure the broadest scope in this endeavor, from year to year the competitions focused on different instruments, attracting musicians from around the globe. The first competition, in 1998, was for harpsichord. In subsequent years, violin, flute, oboe, and vocalists took the spotlight. In 2010, competition award funds were offered as a Goldberg Prize to three promising participants of the American Bach Soloists Academy, an advanced training program for emerging professionals and accomplished students of Historically Informed Performance Practice. In 2011, the Competition and special prizes were suspended in favor of scholarships for the ABS Academy. Consequently, the ABS Academy has developed into one of the leading programs of its kind, bring eminent faculty and participants together for two weeks of immersive, multi-disciplinary training each July concurrently with the ABS Festival—known as San Francisco’s Summer Bach Festival. The newly inaugurated Jeffrey Thomas Award will be granted annually at the artistic director’s discretion to young professionals who show exceptional promise in the field of early music performance. In tandem with a cash prize, recipients are invited to perform with American Bach Soloists. Before devoting all of his time to conducting, he was one of the first recipients of the San Francisco Opera Company's prestigious Adler Fellowships. Cited by The Wall Street Journal as “a superstar among oratorio tenors,” Mr. Thomas's extensive discography of vocal music includes dozens of recordings of major works for Decca, EMI, Erato, Koch International Classics, Denon, Harmonia Mundi, Smithsonian, Newport Classics, and Arabesque. He is a Professor of Music at the University of California, Davis, where he holds the Barbara K. Jackson Chair in Choral Conducting. Mr. Thomas currently hosts two shows on one of the nation's premiere classical music radio stations, KDFC, the most recent major commercial classical station in America to make the transition to public radio. Through worldwide streaming audio, he brings his experience and love for baroque and choral music to a global audience. Also, Strike Up the Band Overture; Promenade; Catfish Row. 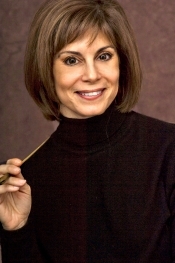 Orion Weiss, piano; John Fullam, clarinet; JoAnn Falletta, Buffalo Philharmonic Orchestra. Naxos 8.559750. 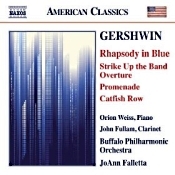 Let me begin by saying that I haven’t heard any interpretation of Gershwin’s Rhapsody in Blue I like better than the one I grew up with, Leonard Bernstein’s 1959 rendering with the Columbia Symphony Orchestra. It’s a recording I’ve liked so much, I’ve owned it on a variety of Columbia, CBS, and Sony discs, culminating a few years ago in my buying the Blu-Spec edition from Sony Japan. This is all by way of saying that no matter how good pianist Orion Weiss, conductor JoAnn Falletta, and the Buffalo Philharmonic play the piece, it doesn’t quite match the animation and potency of the Bernstein version. That said, Weiss, Falletta, and crew still play it darn well. As you probably know, it was bandleader Paul Whiteman who persuaded a brash, young George Gershwin (1898-1937) to write a jazz-inflected showpiece for him and his orchestra. When Gershwin initially declined, saying he didn’t know enough about orchestration to do the work justice, Whiteman assured him that he could get Ferde Grofe to arrange it for piano and orchestra. That was 1924, Gershwin’s classical jazz became a new musical phenomenon, and the rest is history. On this Naxos disc, we get a deep, sultry treatment of the score. While it doesn’t have the sometimes eccentrically paced spontaneity of Bernstein’s interpretation or the sheer energy of Gershwin’s own piano-roll rendition (re-recorded with Michael Tilson Thomas), this new Naxos performance does display a graceful spirit and an appropriately bluesy manner. Also, I have to admit that Orion Weiss plays a mean piano, at the same time applying a very smooth, very delicate touch on the keys, making his interpretation a charming study in contrasts. And when Gershwin’s big, lush main theme kicks in, the whole thing is, well, a kick. Nevertheless, no, in the end I wouldn’t necessarily buy this disc just for the Rhapsody. Weiss’s reading may be fluid and flowing, but it lacks the idiosyncrasies of tempo and rhythm that elevate Bernstein’s rendition over almost all competitors. Sometimes being overenthusiastic works. However, I would seriously consider the Naxos album when you look at the accompanying material. The Overture to the Broadway show Strike Up the Band makes a terrific curtain raiser and a great introduction to Gershwin’s style. Promenade, a piece of film music reconstructed by George Gershwin’s brother Ira, is brief, snappy, and dapper. And Catfish Row, Gershwin’s concert suite from Porgy and Bess (restored by composer Steven Bower), includes many of the opera’s most-famous and colorful tunes. Ms. Falletta and her Buffalo players provide all of this music with the jazzy, folksy sophistication it needs. If you liked Falletta’s earlier Gershwin disc, you will no doubt like this one as well. She and her fellow musicians have a good feeling for the orchestral jazz idiom Gershwin perfected so well. Naxos recorded the music at Kleinhans Music Hall, Buffalo, New York in 2010 (Rhapsody in Blue and Promenade) and 2012 (Strike Up the Band and Catfish Row). Although the sound is a trifle on the warm, round, plushy soft side, the piano and orchestra show up nicely, and the wide dynamic range helps the sonics to pop. There’s a wide frequency range, too, with a satisfyingly extended treble and an occasionally thunderous bass, so even if the midrange transparency is mite too thick to be entirely transparent, the overall effect is natural and lifelike enough. Also, Symphony No. 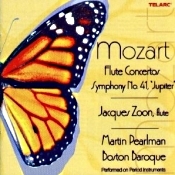 41 “Jupiter.” Jacques Zoon, flute; Martin Pearlman, Boston Baroque. Telarc CD-80624. Taken on its own, this is a delightful, zesty treat, the Boston Baroque playing on period instruments without sounding edgy, and flutist Jacques Zoon handling the Flute Concertos in D major (K. 314) and G major (K. 313) with considerable aplomb. It’s only when you compare the music making to other recordings of a kind that you may notice any minor, subjective shortcomings. Starting with the Flute Concertos, I compared K. 313 to Jean-Pierre Rampal’s 1966 recording with members of the Vienna Symphony on modern instruments (Erato). Here, three differences popped out at me. First, Rampal’s playing seems slightly sweeter, more delicate, more nuanced, and more poetic than Zoon’s, whose work is, nevertheless, quite fetching. Still, I preferred Rampal. Second, the Telarc recording with Boston Baroque sounds much faster paced, as we might expect from a period-instruments group, although the Boston players handle it in stride. While this makes for a more-thrilling ride than Rampal’s version, it’s not quite so graceful. And, third, the Telarc sonics (recorded in Mechanics Hall, 2004) appear somewhat warmer and softer than the older Vienna recording. However, this can actually be a benefit to the period-instruments sound, so the choice here may be a toss-up. Overall, though, on two of the three counts I slightly preferred Rampal’s rendition. In the accompanying “Jupiter” Symphony, the comparisons I used were those of two period-instruments groups, one of the earliest of its kind, from the Collegium Aureum (RCA), and a more-recent one from the Freiburg Baroque Orchestra (Harmonia Mundi). In these comparisons, I noticed the same quick tempos from Boston Baroque and the same thicker, warmer sound. Yet here it was harder to determine a clear preference. After listening for a few minutes to the Telarc, the older RCA interpretation sounded rather conventional, and the sound, though more transparent, seemed thinner, more wiry, and more sluggish. With the Harmonia Mundi disc everything sounded so good all the way around it made for no contest. Then, after listening to all three discs again for a while, the Telarc seemed a tad thick and overheated to me. I dunno. I suspect that listeners will have to decide on the Telarc recording based on its coupling and its reputation. If you like the pieces of music presented on the disc, if you like Boston Baroque’s fleet, lively style, and if you like Telarc’s well-balanced but somewhat heavy sound, you’ll like this release. It’s certainly fun to listen to. Solo Works of the First Italian Cellist-Composers. Elinor Frey, baroque cello; Esteban La Rotta, theorbo and baroque guitar; Susie Napper, baroque cello. Passacaille 993. 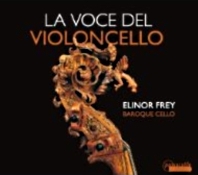 As far as I can see, this 2013 release, La Voce del Violoncello (“The Voice of the Cello”), is only the third album from Canadian cellist Elinor Frey, and it’s the first one in which she goes it mostly alone. Although Ms. Frey may not yet be in the class of a Casals or a Rostropovich, she displays a commendable command of the cello and an obvious joy in playing the instrument that foretell a promising future. As I’ve mentioned before, choosing what music to include on any album can be chancy. If you opt for popular items that you know the public enjoys, you risk going head-to-head with a catalogue full of formidable competition. If you choose to record more obscure, more modern, more experimental, or more avant-garde material, you risk not selling a disc. Here, in an album of solo works from the first Italian cellist-composers, Ms. Frey has chosen a reasonable middle ground. She has recorded twenty-three tracks representing some of the earliest-known compositions for the violoncello, following the genre over nearly seventy-five years from the mid-seventeenth century to the early eighteenth, by which time the cello had become popular enough to spread throughout Europe and produce star performers of international repute. More important, the music Ms. Frey has chosen is accessible and charming, and she plays it expertly on an unnamed Klingenthatl-style baroque cello from the late-eighteenth century, accompanied on a few numbers by Esteban La Rotta, theorbo and baroque guitar, and Susie Napper, baroque cello. 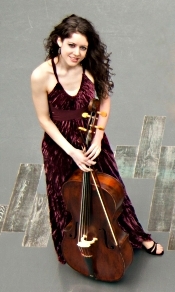 Since Ms. Frey is just becoming known, a word about her: To quote from her biography, her honors include “the U.S.-Italy Fulbright Scholarship, where she studied baroque cello with Paulo Beschi in Como, Italy” and grants from the SSHRC (the Social Sciences and Humanities Research Council) and the Canada Council for the Arts. She received a Doctor of Music degree in 2012 from McGill University and additional degrees from the Mannes College of Music and the Juilliard School. So, yes, she knows what she’s doing. Ms. Frey begins this musical journey through the early baroque cello with Tromba a Basso solo by Giuseppe Colombi (1635-1694), only it’s not a solo since Mr. La Rotta supports her with a bass realization on the theorbo. If you’re not sure what a theorbo is, it’s a now obsolete bass lute with two sets of strings attached to separate peg boxes, one above the other, on the neck. It produces a sound that complements the cello nicely. (I’ve gotten to know and enjoy the theorbo from my attendance at concerts by the Philharmonic Baroque, where my wife and I have become quite attentive to and appreciative of the theorbo playing.) Anyway, you can hear a moment of the Tromba a Basso solo below and get the idea. It’s a delightful work, delightfully performed. Next, we hear two caprices by Giuseppe Maria Dall'Abaco (1710-1805), which sound a little more formal than the preceding Colombi piece yet have a sort of Bach-like feel to them. Ms. Frey invests them with a lively, rhythmic cadence that keeps our attention. After that is a brief, anonymous sonata, followed by two toccatas by Francesco Paolo Suspriani (1678-1753). The sonata possesses a graceful lilt that makes it appear at once serious yet playful. Perhaps it's Ms. Frey's playing that imparts the latter quality. The Suspriani toccatas seem a little more solemn to me than I'd like, despite Ms. Frey's efforts to the contrary. Nevertheless, she ends the program with two more of Suspriani’s toccatas that close the show in fine, robust spirits. And so it goes, with further pieces by Domenico Galli (1649-1697), Giovanni Battista Vitali (1632-1729), and Giulio Ruvo. Given the nature of the music and the early composition dates, you might expect a good deal of repetition or sameness, but Mr. Frey ensures that we take nothing for granted. Her style is continuously flexible and spirited, with an emphasis on creativity, clarity, and precision. Among my favorite tracks on the disc were the aforementioned Tromba a Basso solo for its invention, plus Galli's Sonata No. 5 for its purely entertaining variations; Vitali's Passa Gali for its regal sophistication (and again its theorbo); Ruvo's folksy, lyrical dance numbers; and Vitali's Bergamasca, not only for Ms. Frey's playing but for the baroque guitar accompaniment. I don't try to label albums as the best of anything because I've never been able to determine just what that means without sounding pompous or pretentious; however, I do know what I like, so I can say without hesitation what appeals to me. Come next January, I know I shall be listing La Voce del Violoncello among my favorite albums of the year. Padraig Buttner-Schnirer recorded, edited, and mastered the disc for Passacaille Records, recording it at the Pollack Hall, McGill University, Montreal, Quebec in 2012. The cello emerges cleanly defined, clear, and richly resonant, as do the accompanying instruments. The miking is relatively close, so the sound is big, yet there is a pleasant ambient air around the instruments as well, making them resound fully throughout the room. Indeed, it is this warm, resonant bloom that makes the sound so appealing, yet it in no way distracts from the lucidity of the instrumental sound. Music of Verdi, Wagner, and Strauss. 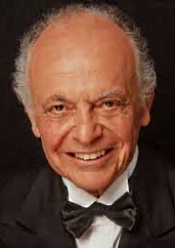 Lorin Maazel, Vienna Philharmonic. Sony 88883712052. You may have seen this on TV. PBS often airs these things during their pledge breaks (so you get to watch them what seems about 800 times a month). Each year the Vienna Philharmonic (under various notable conductors since they have no Principal Conductor) perform two major concerts of international repute: the New Year’s Eve Concert and the Summer Night Concert. 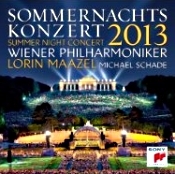 The present disc contains eleven items recorded live at their Summer Night Concert 2013, conducted by Lorin Maazel. Its theme was the celebration of the 200th anniversaries of Richard Wagner (1813-1883) and Giuseppe Verdi (1813-1901). Here, I have to repeat what I’ve often said about these kinds of albums: More important than the music, they are documentations of live events, souvenirs for folks who attended and tokens for those who weren’t there to suggest what all the fuss was about. Yes, they can contain some good music, and, yes, they can be entertaining. But they are not always exemplars of great music or great sound. There are three primary reasons for this: (1) The music is almost always of the briefest, most-popular warhorse variety, which classical collectors most likely already have in abundance in their music libraries; (2) the live sound doesn’t always hold up well compared to that of good studio productions; and (3) listeners have to put up with a degree of audience noise as well as endure an outburst of applause after every track. Of course, listeners who enjoy recordings of live musical events will cherish the album for just these reasons, so one takes pleasure where one will. Maestro Maazel gets the concert off to a regal start with Verdi’s Triumphal March from Aida. The Vienna players perform it with a smooth, lush precision, yet it lacks the expansive grandeur that Karajan brought to it with these same forces over thirty years earlier. When I watched Maazel conducting it on the television broadcast, he looked as though he were falling asleep. Maybe that’s his style; I don’t know. Still, the orchestra does sound gorgeous. Next up is Wagner’s Prelude to Act I of Die Meistersinger von Nurnberg. I found this performance more to my liking than the Aida moments. Maazel seems to understand the theatrical nature of this music and the grandiloquent impact the Prelude can carry. The big climaxes create the excitement the composer intended. And so it goes, with selections from Verdi's I Lombardi alla Prima Crociata, Otello, Luisa Miller, La Forza del Destino and Wagner's Tristan und Isolde, Lohengrin, and Die Walkure. Of these numbers, I preferred the ones with tenor Michael Schade (I Lombardi and Lohengrin; what a wonderful voice Schade has), as well as the Prelude and Liebestod from Tristan und Isolde, which Maazel conducts with much hushed Romantic fervor. Oddly, Maazel's Ride of the Valkyries didn't move me the way other conductors’ versions have done, despite the absolutely glorious presentation the Vienna Philharmonic make of it. It seemed more sophisticated sound and fury to me than the dashing, thrilling music I so often hear from others. The concert ends with a traditional Strauss tune, Long Live the Magyar!, that closes the show in an appropriately rousing manner. I have to admit that it did get the blood stirring, more so than most anything else on the program. Incidentally, the folks at Sony provide no track timings, neither on the back cover nor in the accompanying booklet. However, my CD player's readout indicates the album contains a healthy 80+ minutes of content, about the upper limit of a compact disc. Teldex Studio Berlin recorded the concert for Sony in the Baroque park at Schonbrunn Palace, Vienna, in May 2013. The sound is fairly close (probably in order to minimize audience noise) yet rich and resonant. Definition is good, if at the expense of the sound being a tad bright and perhaps a bit too sharply outlined, making for some occasional edginess. Because it's an outdoor event, we don't get much in the way of room ambience, so any resonance we hear is probably the result of the acoustic reflectors used around the orchestra. 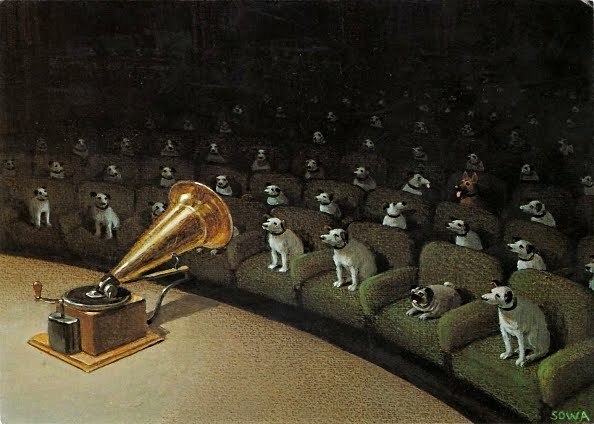 There's not much depth to the image, either, making this more of a hi-fi presentation than a particularly realistic one. Strong dynamics help to reinforce this impression. And a slight background hiss accompanies the softest passages. Don't know why. Composer Philip Lasser and pianist Simone Dinnerstein join forces once again in Lasser’s The Circle and the Child: Concerto for Piano and Orchestra. The new concerto will be premiered by Dinnerstein with the Atlanta Symphony Orchestra under guest conductor Miguel Harth-Bedoya on October 17, 2013, at 8:00 pm and October 19 at 7:30pm in Atlanta Symphony Hall at the Woodruff Arts Center, followed by performances with the Boulder Philharmonic on March 22, 2014 at 7:30 pm in Macky Auditorium and March 24, 2014 at the Vilar Performing Arts Center in Beaver Creek and the Shreveport Symphony Orchestra on May 3, 2014 at 7:30 pm in RiverView Theater, both led by conductor Michael Butterman. Lasser and Dinnerstein have a history of successful collaboration, which began in 2008 when Dinnerstein performed and recorded Lasser’s Twelve Variations on a Bach Chorale (Telarc, The Berlin Concert). Philip Lasser’s The Circle and the Child: Concerto for Piano and Orchestra is a journey through a kaleidoscope of musical landscapes. Cast in three movements, the concerto’s core thread is a Bach Chorale “Ihr Gestirn, ihr hohen Lüfte,” which weaves its meaning throughout the vast musical palette that is Lasser’s poetic voice. Lasser’s ability to make the listener travel with the music is unique and The Circle and the Child tells a profound and simple story of traveling and discovery, of memory and of return. The work is 28 minutes in length and is scored for winds in pairs: two trumpets, four horns, two trombones, as well as harp, percussion, strings and solo piano. For more information: www.philiplasser.com, www.simonedinnerstein.com. Santa Fe Chamber Music Festival’s 2013 Artist-in-Residence, distinguished pianist Garrick Ohlsson, joins flutist Tara Helen O’Connor, oboist Robert Ingliss, clarinetist Patrick Messina, bassoonist Theodore Soluri, and horn player Julie Landsman for Ludwig Thuille’s Sextet for Piano & Winds. Mr. Ohlsson returns to the Festival for the first time since his debut ten years ago. Mr. Messina, Principal Clarinet of the Orchestre National de France, opens the concert with contemporary German composer/clarinetist Jörg Widmann’s virtuosic Fantasie. The program closes with Beethoven’s bold and imaginative String Quintet in C major with violinists William Preucil and Benny Kim, violists Steven Tenenbom and Daniel Phillips, and cellist Eric Kim. This four-concert “festival within a festival” focuses on the masterpieces of Gesualdo, Mozart, and Schumann written in the years 1611, 1786, 1788, and 1842—each an exceptionally prolific year in the composers’ lives. The Santa Fe Chamber Music Festival welcomes back the Santa Fe Desert Chorale—one of the nation’s premier choral ensembles—for the final numbers of Gesualdo’s ethereal Book V madrigals programmed with Mozart’s last piano trio, with violinist Ida Kavafian, cellist Peter Wiley, and pianist Anne-Marie McDermott. Schumann’s exuberant Piano Quintet with violinists William Preucil and Benny Kim, violist Steven Tenenbom, cellist Eric Kim, and Ms. McDermott closes the 2013 season of concerts. For more information on Santa Fe Chamber Music Festival's concerts and to order tickets, please call 505-982-1890 or visit www.SantaFeChamberMusic.com. The box office is located in the lobby of the New Mexico Museum of Art at 107 West Palace Avenue and is open daily from 10:00 am - 4:00 pm. Sunday, September 8, 2013, 3:30–6:00 p.m.
For works by Verdi, Wagner, Strauss, Tchaikovsky, Rimsky-Korsakov, Puccini, Hindemith, Korngold, Berlioz, Handel, Bach, Purcell, and others. On August 10, Russian Stanislav Khristenko was named the Grand Prize Winner of the 2013 Cleveland International Piano Competition. The distinguished jury selected Mr. Khristenko from a field of 28 candidates who performed over a ten-day period. By the close of Friday and Saturday's final performances, the competition's jurors were faced with a difficult task, as all four finalists delivered exceptional performances of their respective concertos with The Cleveland Orchestra and Maestro Stefan Sanderling. While The Cleveland Plain Dealer's Zachary Lewis noted the outstanding musicality of all the finalists, he praised Mr. Khristenko's performance of Brahms's Piano Concerto No. 1 for its "shimmering filigree and phrases of exquisite tenderness, in which every note mattered." In addition to a cash prize of $50,000 presented by Mr. and Mrs. A. Malachi Mixon III- one of the largest cash prizes of its kind- Mr. Khristenko receives more than 50 worldwide engagements, three years of management services, a recording by Steinway & Sons, New York, and a New York recital at Carnegie Hall's Zankel Hall on May 19, 2014. Second Prize: Arseny Tarasevich-Nikolaev, Russia- award of $25,000 in honor of Karen Knowlton, presented with major support from Mr. and Mrs. Richard A. Manuel, with additional support from Mrs. Marvin A. Evenchik, and The Park Foundation. Third Prize: François Dumont, France- Cash award of $15,000, presented by Mr. and Mrs. Richard A. Manuel. Fourth Prize: Jiayan Sun, China- Cash award of $10,000, presented by Dr. and Mrs. Richard Kaufman. Beethoven Prize: Stanislav Khristenko- $2,000 for the best performance of a work by Beethoven, presented by the Evenchik family in memory of Barbara and Marvin Evenchik. Cairns Family American Prize: Oskar Jezior- $1,500 for the best performance of an American work composed after 1944, presented by the Cairns Family Foundation. Chopin Prize: $2,000 each to François Dumont and Ruoyu Huang for the best performances of a Chopin composition. One prize is presented by the William O. and Gertrude Lewis Frohring Foundation in memory of Gertrude Lewis Frohring. The additional prize is presented as a result of a jury tie by the Szilagyi family in honor of Elaine Frohring Szilagyi. Contemporary Prize: Ben Schoeman- $2,500 for the best performance of a contemporary work, presented by Art of Beauty. French Prize: François Dumont- $2,500 for the best performance of a composition by a French composer, presented by Maison Française de Cleveland. Mozart Prize: Miao Huang- $1,500 for the best performance of a Mozart composition, presented by Dr. and Mrs. Richard Kaufman. Russian Prize: Arseny Tarasevich-Nikolaev- $2,500 for the best performance of a composition by a Russian composer, presented by Dr. Boris Vinogradsky and Irina Vinogradsky, Esq. Audience Prize: Jiayan Sun- $1,500 presented to the finalist voted Audience Favorite during the final round on August 9 and 10, presented by Shirley Dawson. $2,000 to each of the four semi finalists who do not advance to the final round, presented by the William O. and Gertrude Lewis Frohring Foundation in memory of Gertrude Lewis Frohring. Juilliard String Quartet. Newton Classics 8802197. Don’t you just love the music of American composer Charles Ives (1874-1954)? It’s always so quirky, and the older the guy got, the more eccentric his music became. The present album combines two of his more-popular works, the early String Quartet No. 1, which is rather conventional for the man, and the later String Quartet No. 2, which dates from over a dozen years on and shows how unique (and curious) his music had become. The two works make a fascinating study in comparisons and contrasts, and you couldn’t ask for better performances or sound than these 1967 re-released recordings from the world-famous Juilliard String Quartet. I don’t need to remind you that the Juilliard String Quartet is among the oldest continuing string quartets in the world. Founded in 1946 at the Juilliard School in New York, the group has won numerous awards over the years, including four Grammys, and recorded countless discs. Of course, all of the original musicians are gone now, but at the time of this recording, it still involved several founding members. 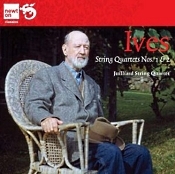 The main thing is that they play impeccably, and no one has matched their performances of these Ives String Quartets. As constituted here, the group included Robert Mann and Earl Carlyss, violins; Raphael Hillyer, viola; and Claus Adam, cello. Ives wrote his String Quartet No. 1 (subtitled “From the Salvation Army”) somewhere between 1897-1900, just after he’d finished Yale. However, like many of his compositions, it never saw a public performance in his lifetime. The fellow was definitely ahead of his time in the field of modern music, and because his stuff was even more far-out than most modernists of his day, he didn’t have a lot of followers at the time. The First Quartet didn’t see a public performance until 1957, several years after his death, even though it is one of his more-traditional pieces of music. Ives grew up loving band music, and one can hear its influence in almost all his music including the First Quartet. Further defined as "A Revival Service," the First Quartet abounds in faintly recognizable melodies, in this case hymns, as was Ives's wont. In all of the composer's work we hear familiar tunes that are just barely out of reach. 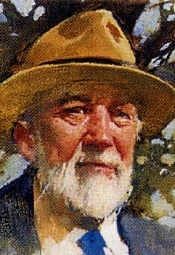 Ives divides the "Service" into an introductory Chorale, a Prelude, an Offertory, and a Postlude, corresponding to a traditional four-movement quartet arrangement. The first section is a meditation, the second a zippy scherzo with lilting dance numbers, the third a beautiful slow movement, and the forth an Allegro finale. The Juilliard Quartet play the piece with energy, dexterity, grace, variety; you name it, they do it. There doesn't appear to be anything they can't handle with virtuosic ease. Given that the First Quartet is fairly straightforward (comparatively, for Ives), that doesn't mean that the Juilliard players perform it in any perfunctory manner. Instead, they invest it with all the spirit they can muster, making the music glisten with vigor. It's possible that no one may equal their rendition of the work. Then, there's the Second String Quartet, and we're suddenly listening to something more reminiscent of Ives, the composer with the weird, atonal harmonies and sudden dissonances. What a difference a decade makes. The Second Quartet dates from around 1913-15 and shows how far Ives had moved along in his unique musical style. It’s filled with far more disharmony, discords, tonal disparities, argument shifts, complex rhythms, and transcendent conflicts than the First Quartet, and, therefore, makes for more-challenging listening. Ives said he wrote the Second Quartet as a counterpoint to the "trite" character and style of typical concert quartets. I’m not sure if he was also referring to his own First Quartet. In any case, the Juilliard players manage to make it a lot less harsh than I've sometimes heard it played. What's more, the oddball interjection of familiar songs isn't nearly so jarring as it can sometimes sound. Ives also said he intended the work's three movements to represent four men "who converse, discuss, argue, fight, shake hands, shut up--then walk up the mountain side to view the firmament." Fair enough; people can be pretty strange when they're in the midst of tensions and disagreement. And it's these contrasts that we hear the Juilliard players bring out most clearly in the music. It's not quite program music in the sense of a Mussorgsky or Strauss tone poem, but Ives clearly wanted to convey specific impressions, which the Juilliard performers are happy to exploit and still make it sound like music and not noise. The conflicts may get raucous, but the interpretation remains likable, maybe because the Juilliard players appear to like the music so much. Although the Second Quartet is not something you might want to listen to very often, this is the version to which you'll want to return as the mood strikes you. Columbia Records (CBS) originally recorded the music at the Columbia 30th Street Studio, New York City in 1966-67, releasing the record in 1967. Newton Classics re-released them on the current disc in 2013. The sound is quite good, very transparent, with each of the four players distinctly placed across the room. Detailing is more than up to the job, and the frequency response appears nicely extended. The sound is big and bold, well spread out but not entirely across the room--just fairly close up for maximum clarity. OK, maybe the stereo spread is a tad too wide for so small an ensemble, yet the disc sounds better than most anything being made today: beautifully realistic, immaculately clean, with remarkable separation and air. There is no harshness here, no brightness, no forwardness; it's all as smoothly and naturally recorded as you could want, putting real players and real music in your living room. Also, Piano Sonata No. 1. Sviatoslav Richter, piano; Erich Leinsdorf, Chicago Symphony Orchestra. RCA 82876-60860-2. Just a brief note on an old favorite. This is one of those legendary discs from RCA’s early stereo days and one of Soviet pianist Sviatoslav Richter’s first recorded performances in the West. Made in 1960, it is still one of the best readings of the Brahms Second Piano Concerto ever made and ranks up there with only a handful of equally fine interpretations of the work. The sound may not be quite equal to the best, but if you can give it some slack, the performance more than makes up for it. Richter brings to the piece an unusual degree of brawny sophistication. The first movement, for example, taken at a faster-than-usual clip, seems in Richter’s hands as stormy and craggy as anything in the First Concerto. The second movement scherzo Allegro has a vigorous momentum; the slow Andante is as sweet and hushed as anything one could dream of; and the finale, with its folklike gypsy melodies, skips merrily along until reaching the work’s familiar signature tune. Richter comes through in each movement with an emotional drive and pianistic virtuosity seldom matched by modern artists. His spontaniety seems entirely unforced in a performance of eloquence, grace, and vitality, even if he indulges himself on occasion in some odd tempo shifts. Interestingly, too, I read once that Richter hated this performance; but what did he know? The celebrated team of producer Richard Mohr and engineer Lewis Layton put together the sound, as they did most of the RCA Living Stereo series back then. The sonics are OK but not quite up to what we have heard from other entries in the “Living Stereo” series. The audio is well spread out across the soundstage but perhaps loses a little something in ultimate definition and dynamic impact compared to the best recordings available of this work. And speaking of the best recordings available, may I suggest that Richter can stand proudly with Gilels (DG and RCA), Kovacevich (Philips), Pollini (DG), Cliburn (RCA), Serkin (Sony), Ashkenazy (Decca), and others. 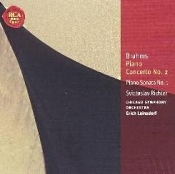 That’s pretty heady company, and if I hold special places for the finesse of Gilels, the poetry of Kovacevich, and the incisiveness of Cliburn, I have to remember the price of this Richter reissue, with its excellent coupling of the Piano Sonata No. 1; then it looks even better to me. 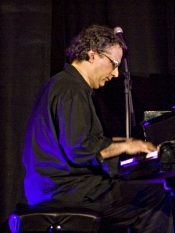 Uri Caine Ensemble. Winter & Winter 910 205-2. With his Rhapsody in Blue composer and pianist George Gershwin (1898-1937) began a trend in classical music to infuse serious orchestral works with serious jazz. So it’s not a stretch to take several of the man’s compositions back to their roots with performances by a small jazz group, in this case the Uri Caine Ensemble: Uri Caine, piano; Ralph Alessi, trumpet; Jim Black, drums; Joyce Hammann, violin; Mark Helias, bass; Chris Speed, clarinet and tenor sax; and Theo Bleckmann and Barbara Walker, vocals. The results we hear on this all-Gershwin album of instrumental and vocal numbers are different but highly appealing. More important, Uri Caine is a jazz and classical pianist and composer. 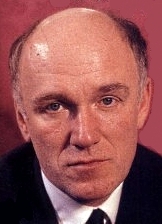 Among his sixteen record albums include a 1997 jazz tribute to Gustav Mahler that received an award from the German Mahler Society; a 2009 album called The Othello Syndrome that earned a Grammy nomination for Best Classical Crossover Album; and reworkings of Bach's Goldberg Variations, Beethoven's Diabelli Variations, and various Wagner, Schumann and Mozart selections. In 2005, the Los Angeles Chamber Orchestra named him their Composer-in-Residence through the 2008–2009 season. Yes, he knows what he’s up to. 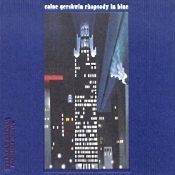 If, like me, you grew up knowing and loving the full orchestral version of the Rhapsody, or even if you’ve gotten used to a smaller-scale rendition (Gershwin wrote the piece for the smallish Paul Whiteman band), you may find the Caine Ensemble’s jazz arrangement a bit unsettling. Like anything, it takes a little getting used to. Whether that happens or not, however, is problematic. My mother always told me I’d come to love Brussel sprouts if I just ate enough of them; to this day they make me gag. Although Caine’s jazz adaptation clearly didn’t make me gag, I don’t think I’d want to hear it too often without a dose of Bernstein and the Columbia Symphony Orchestra thrown in more often than not. The ensemble perform the Rhapsody first on the program, and, as I say, it may come as a shock to classical listeners not used to jazz. I mean, the Uri Caine Ensemble play the piece very jazzy, with some obvious riffs and improvisations but nothing that really disturbs Gershwin's original intentions. Each instrument, particularly the clarinet and piano, gets its fair share of the spotlight (it is Caine's group, after all, and he's the pianist). This is an enterprising new way to listen to an old favorite that never sacrifices the composer's intentions or the spirit of the music. Rather than hearing a jazz-infused classical Rhapsody, we hear a classical-infused jazz Rhapsody. While it might not appeal to everyone, especially old-time, die-hard classical fans, if you can keep an open mind, it is quite fetching. I loved it. In order for the Rhapsody to work effectively, though, the musicians must be virtuosos in their own right and show the utmost respect for the music. Here, the Caine Ensemble excel, performing the work with consummate skill, innovation, creativity, and musicianship. After the Rhapsody in Blue we get a series of eight Gershwin vocal and instrumental numbers done by vocalists Theo Bleckman and Barbara Walker, with the Caine Ensemble. The performers infuse these tunes, too, with some new twists, although it's all mostly recognizable as traditional Gershwin. The selections include "But Not for Me," "Let's Call the Whole Thing Off," "I Got Rhythm," "I've Got a Crush on You," a slightly bizarre "They Can't Take That Away from Me," "Slap That Bass," a sort of spacey "Love Is Here to Stay," and "How Long Has This Been Going On." Good singing, good playing, good backup, lively, sympathetic style--it works for a delightful good time. It will please audiophiles to know that in December 2012 at Avatar Studios, New York, engineer Ron Saint Germain recorded the music directly to half-inch, two-track analogue tape with no manipulation or digital processing. Yes, I said analogue tape. The sound is fully up to audiophile standards, rich and lush, yet wonderfully well defined, with a healthy amount of air around the instruments. Most important, there's a sonic impact that reminds one of being at a live event and a frequency range that puts one in the audience. Play it loud, and it only gets better, with every subtlety of every instrument clearly, naturally delineated and voices as clean as real life. A final word, this about the packaging: The disc comes in a clothbound Digipak-type case, with a picture and info glued to the front and back. It’s really quite attractive. All well and good; then, inside you’ll find a booklet of the foldout-map variety that stretches to nearly two feet. Very inconvenient for trying to read comfortably. Otherwise, a classy affair. Overture and prelude transcriptions. 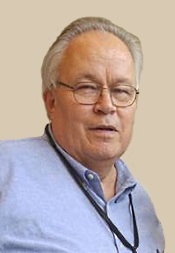 Hansjorg Albrecht, organ. Oehms Classics OC 690. There is something intriguingly simple about having one performer play one instrument that simulates the music of an entire symphony orchestra. The performer is Hansjorg Albrecht; the instruments are the Cavaeille-Coll-Mutin organ and Kleuker organ of St. Nikolai Church, Kiel, Germany; and the music is Wagner. Mr. Albrecht doesn’t mean for his adaptations to replace full-orchestral versions of this material but rather as singular, workable alternatives to them. It’s certainly fascinating stuff. Of course, it helps that conductor, organist, and harpsichordist Albrecht knows what he’s doing arranging and performing these Wagner transcriptions. 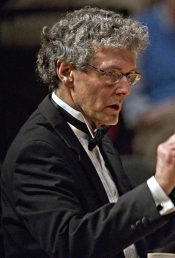 Not only is he the Artistic Director of the Munich Bach Choir and Bach Orchestra, he’s done organ transcriptions before, having already recorded albums of Wagner’s Ring excerpts, Mussorgsky's Pictures at an Exhibition, Holst’s Planets, and other such music in organ transcriptions. With that kind of background, we can expect him to produce good results. So, Albrecht begins the program with the Overture to Tannhauser, very familiar material. The secret is making a single instrument substitute for a full orchestra, which he pulls off pretty well with his arrangements. Using all of today’s modern concert organ’s electronic setting devices and storage applications, he is able to duplicate quite a few different orchestral sounds simultaneously. The effect can often be startlingly impressive. It raises the question, though: If you’re going to use the organ to imitate all the voices of an orchestra, why not just use an actual orchestra? Hmmmm. Well, I suppose, for one, it’s cheaper; one performer, one instrument. But, more to the point, it’s simply a novel idea and a unique sound. For fans of organ music, Albrecht’s Wagner disc might be a good investment. After Tannhauser, which Albrecht performs nobly, he plays the Prelude from Parsifal. As with the other numbers on the program, he executes the music with intense feeling and precise control. There is genuine pathos in the slow section and grandeur in the bigger moments, a kind of grandiloquence that only a huge concert organ in a vast hall can produce (short of a full orchestra). And so it goes through the rousing melodramatics of The Flying Dutchman, the longing romance of Tristan und Isolde, and the festive thrills of Die Meistersinger von Nurnberg. Albrecht catches many of the nuances of Wagner’s varied and colorful pallette, generating new ways to listen to old favorites. 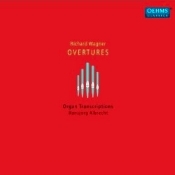 While I would never consider giving up the orchestral versions of Wagner from conductors like Otto Klemperer, Georg Solti, Herbert von Karajan, George Szell, Bernard Haitink, Erich Leinsdorf, Leopold Stokowski, Sir Adrian Boult, and others, I’m glad I heard these organ transcriptions. They can be bewitching in their own way. No, SACD is not dead. Long live SACD. There’s life in the old format yet, carried on by a small but dedicated number of European record companies like Oehms Classics, who recorded this one in 2012 at St. Nikolai, Kiel, Germany. I listened to the two-track SACD layer, not the multichannel layer, because I have but two stereo speakers in my listening room. However, I can imagine that given the full-blown resonance of the recording, it might sound rather spectacular in multichannel playback. Anyway, in two-channel the organ tends to get a little lost amidst the hall’s natural reverberation, the acoustic slightly blurring the midrange detail. Not that it doesn’t appear realistic, just a little awash in reverb. A moderately distant miking arrangement doesn’t help the instrument’s transparency, either. Still, it’s a big, round, dramatic organ sound, with plenty of dynamic range, bass, and impact, so maybe that makes up for any small lack of clarity. 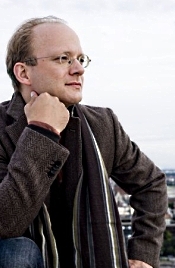 The National Philharmonic’s 2013-14 season, led by Music Director and Conductor Piotr Gajewski, will feature superstar violinist Sarah Chang performing Vivaldi’s Four Seasons; cellist Zuill Bailey playing the complete cello works of Robert Schumann; and pianist Brian Ganz, continuing his cycle of music by Chopin. The season will also showcase the music of Handel, Bach, Mozart, Beethoven, Schubert, Verdi, among others. 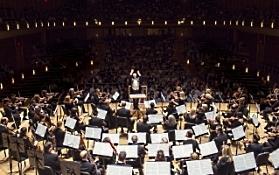 In its tenth year of residency at the Music Center at Strathmore, 5301 Tuckerman Lane, North Bethesda, MD, the National Philharmonic is performing to nearly 50,000 people each year. The Philharmonic will continue its commitment to education and outreach by offering free concerts to every second and fifth grade student in Montgomery County Public Schools, free pre-concert lectures, master classes with renowned guest soloists and high quality summer string and choral programs. The success of the Philharmonic over the past 30 years is largely credited to its critically acclaimed performances that are filled with great, time-tested music and its family friendly approach. All young people age 7 to 17 attend National Philharmonic concerts free of charge through its unique ALL KIDS, ALL FREE, ALL THE TIME program. Repeat Sunday matinee performances of the Philharmonic’s most popular programs (seven concerts in total) will also be offered again this year. In addition, concertgoers can attend National Philharmonic’s pre-concert lectures on featured composers and music 75 minutes before performances. The 2013-2014 season will feature performances with such great artists as violinists Sarah Chang and Soovin Kim; pianists Brian Ganz, Thomas Pandolfi and Gabriela Martinez; cellist Zuill Bailey; sopranos Danielle Talamantes , Rosa Lamoreaux and Julie Keim; and mezzo-sopranos Magdalena Wór and Margaret Mezzacappa, among others. It will include music by Handel, Bach, Mozart, Beethoven, Schubert, Verdi, among others. Season kickoff concert featuring Beethoven’s Symphony No. 5 in C minor and Violin Concerto with violinist Soovin Kim. Violinist Sarah Chang performing Vivaldi’s most popular work, The Four Seasons. Cellist Zuill Bailey playing an all-Schumann recital plus the composer’s lyrical Cello Concerto. Award-winning pianist Brian Ganz in his fourth all-Chopin recital at Strathmore and a performance of Chopin’s Piano Concerto No. 1. A concert performance of a new opera, Lost Childhood, by American composer Janice Hamer, which explores one boy’s struggle to survive the horrors of the Holocaust. A performance of Verdi’s powerful and timeless Requiem with two recent winners of the Metropolitan Opera National Council auditions—mezzo-soprano Margaret Mezzacappa and tenor William Davenport. Bach’s Mass in B minor with soprano Rosa Lamoreaux, tenor Matthew Smith and the National Philharmonic Chorale. An all-Strauss concert with pianist Thomas Pandolfi. Mozart’s Violin Concerto No. 5 with National Symphony Orchestra concert master Nurit Bar-Josef. National Philharmonic’s annual “impressive” and “splendidly rich-toned” (The Washington Post) holiday performances of Handel’s Messiah. For the fifth year, National Philharmonic is offering its subscribers a flexible custom series. This allows subscribers to create their own packages and receive discounts of 15-30% on tickets, depending on the number of concerts that are ordered. Season and subscription information are available at nationalphilharmonic.org or by calling 301-581-5100. Single tickets will be on sale in August 2013. The attached photo of Maestro Gajewski was taken by Michael Ventura; the photo of Zuill Bailey was taken by the El Paso Times. More news from the upcoming 2013 PARMA Music Festival, the cross-genre/multiple venue festival Thursday-Saturday August 15-17, 2013 in Portsmouth, New Hampshire! As the festival gets ready to roll out the red carpet, Bob Lord, CEO of PARMA Recordings and Festival Producer announced the following additions. "Our 2013 PARMA Student Composer Competition Winner Tina Tallon's winning piece for string quartet will be performed at the main event on Saturday August 17, and the Portsmouth Symphony Orchestra (PSO) Student Concerto Winner Anna DeLoi will be playing as a soloist with the PSO at that same concert. We are thrilled that our festival will be included such young talent." Lord also mentioned that faculty from Portsmouth Music and Arts Center (PMAC) will be playing a jazz combo set at the same concert, while New England musicians Wheel of Awesome, Jim Dozet, Qwill, Chris O'Neill, and a few others have been added to the Society of Composers, Inc. chamber concerts sprinkled throughout the three days. Finally, to add to the excitement, Christopher Foss, documentary filmmaker and the son of the late American composer, pianist, and conductor Lukas Foss, will be filming part of a documentary on his father's life during the premiere of "Elegy for Clarinet & Orchestra" (written in 1949) at the main event and throughout the Festival. Now, the Dominican Sisters of Mary, Mother of the Eucharist, will be known as recording artists, as they release their first recording August 13th on De Montfort Music/Decca, Mater Eucharistiae. Their debut album of sacred music was recorded live at their chapel in Ann Arbor, Michigan, and reflects their Dominican spirituality that they lovingly hope to share with the masses. The Dominican Sisters are also label-mates with another community of musical Sisters, The Benedictines of Mary, who have had two successful releases with De Montfort Music/Decca in the past six months. Their chart-topping albums are the holiday-themed, Advent at Ephesus, and their latest, Angels and Saints at Ephesus, which is currently #1 on Billboard’s Classical Traditional Chart for an impressive 11th straight week. While the Benedictines of Mary are a community of young cloistered Sisters who never leave their priory and sing completely a capella, the Dominican Sisters are a large community of young Sisters who are invited to teach at Catholic institutions across America, and are visible to the world except when otherwise quietly observing a monastic life. Produced by the 2013 Grammy Award-winning Classical Producer of the Year, Blanton Alspaugh, Mater Eucharistiae will feature 15 tracks in both English and Latin, spanning ancient chants, polyphony, and original compositions. Some pieces are accompanied by the organ, trumpet, and chimes, while others are sung a capella. Save the Date! On September 21 at 5:00 p.m., the 2013-14 season of American Bach Soloists officially kicks off with Silver Soirée, our annual gala held at St. Stephen’s Church in Belvedere, CA. Celebrating 25 years of the greatest performances by the best musicians, this year’s event will be an elegant and festive occasion befitting this remarkable benchmark. Join Jeffrey Thomas and the entire ABS family as we honor the group’s illustrious past and look forward to even greater musical achievements. A tender “Agnus Dei” and the uplifting “Dona nobis pacem” final chorus from Bach’s great Mass in B Minor brought the fourth annual ABS Festival & Academy to a breathtaking close on July 21. For two full weeks ABS and members of the 2013 Academy reigned forth at the San Francisco Conservatory of Music, making beautiful music together and energizing capacity audiences with amazing performances. Six sold-out main stage concerts and record attendance at the free public events once again proved that the ABS Festival & Academy has become one of the premiere cultural attractions of its kind in the country. Festival highlights included an opening night chamber concert featuring the renowned members of ABS, the highly anticipated spectacle of Heinrich Biber’s gargantuan Missa Salisburgensis for 53 parts, ‘cellist Tanya Tomkins in recital, a concert performance of Handel’s Esther, and two performances of Bach’s Mass in B Minor. Concurrent with the Festival, the ABS Academy welcomed 63 participants from the United States, Canada, Bolivia, Dominican Republic, Puerto Rico, and China to study with ABS faculty and perform alongside their teachers in Festival performances. Their enthusiasm, hard-working spirits, and talents were astonishing to witness. This Academy class certainly lived up to their billing as the next generation of early music virtuosi. Hear Jeffrey Thomas discuss Biber’s Missa Salisburgensis with San Francisco Classical Voice and enjoy a glimpse of rehearsals for the historic premiere on July 13, 2013. For those who missed Jeffrey Thomas’s daily chronicle of Festival happenings and work within the Academy, his entire blog can be read here: blog.americanbach.org. Don’t forget to sign up for future musings there, as well. Tickets for ABS’s annual performances of Handel’s Messiah at Grace Cathedral in San Francisco went on sale to the general public on July 1. Fewer than 20 premium seats remain for the December 11 & 12 performances of this beloved Bay Area tradition. Order your tickets now to get the best seats for Messiah. Following last year’s record-breaking attendance for the event, tickets won’t be available for long, so don’t miss out on this year’s performances where Jeffrey Thomas, ABS, and the American Bach Choir will be joined by four sensational soloists: Arianna Zukerman (soprano), Eric Jurenas (countertenor), Aaron Sheehan (tenor), and Mischa Bouvier (baritone). The Orion String Quartet present the world premiere of French composer Thierry Lancino’s first string quartet, Falling Angels, a Festival commission. Lancino’s groundbreaking work in both electronic and traditional composition places him at the forefront of his musical generation. 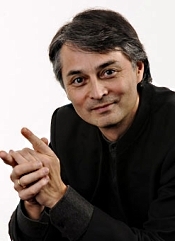 Lancino returns to the Festival after a successful 2008 U.S. premiere of ONXA written for mezzo-soprano and strings. The Festival’s 2013 Artist-in-Residence, pianist Garrick Ohlsson, joins violinist William Preucil and the Orion String Quartet for Chausson’s luscious and evocative Concerto for Violin, Piano, and String Quartet. Pianist Haochen Zhang, clarinetist Patrick Messina, and violist Cynthia Phelps round out the program with Schumann’s colorful and light-hearted Märchenerzählungen, one of the composer’s last works. The “Years of Wonder” Mini-Festival is a four-concert series focusing on particularly productive years in the lives of Gesualdo, Mozart, and Schumann. Throughout the series, Joshua Habermann leads The Santa Fe Desert Chorale and Baroque specialist Richard Savino in Gesualdo’s intensely expressive fifth book of madrigals, written in 1611. Violinist Ida Kavafian, pianist Anne-Marie McDermott, and cellist Peter Wiley join for three of Mozart’s piano trios written within the span of a year-and-a-half and the Orion String Quartet present Schumann’s three string quartets written in 1842. The Orion String Quartet brings its burnished sound to Schumann’s second string quartet on the noon concert. Pianist Anne-Marie McDermott, violinist Ida Kavafian, and cellist Peter Wiley join for Mozart’s graceful, yet unpredictable Piano Trio No.3. Since his triumph as winner of the 1970 Chopin International Piano Competition, pianist Garrick Ohlsson has established himself worldwide as a musician of magisterial interpretive and technical prowess. As the Festival’s 2013 Artist-in-Residence, Mr. Ohlsson brings the world premiere of composer Michael Hersch’s Tenebrae to Santa Fe in an intimate recital setting- a rarity for this concert pianist. 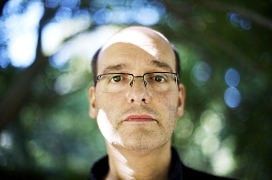 Widely considered among the most gifted composers of his generation, Mr. Hersch’s first piano concerto received its world premiere by Mr. Ohlsson in 2002 with the St. Louis Symphony conducted by Marin Alsop. Mr. Ohlsson pairs this premiere with masterworks of the piano literature by Chopin, Griffes, and Prokofiev. Come celebrate Cuban-style with three-time Grammy-nominated music group Tiempo Libre! As one of the hottest young bands today, Tiempo Libre is equally at home in concert halls, jazz clubs and dance venues. Classically trained at Cuba’s premiere conservatories, today the group is a hit in the U.S. and abroad and is celebrated for its sophisticated performances of timba, a dynamic mix of high voltage Latin jazz and the seductive rhythms of traditional Cuban song. The Orion String Quartet, bassist Kristen Bruya, and harpsichordist Kathleen McIntosh join esteemed Festival artists cellist Eric Kim, oboist Robert Ingliss, violinists William Preucil and Benny Kim, and flutist Tara Helen O’Connor for a concert encompassing the great concertos of the Baroque period. 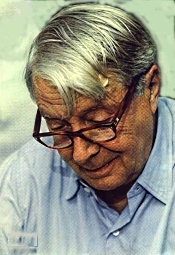 Written in 1942, Australian composer Arthur Benjamin’s Oboe Concerto on Themes of Cimarosa broadly follows the late Baroque style of Cimarosa’s keyboard sonatas. Also, music of J.S. Bach, C.P.E. Bach, and Antonio Vivaldi.